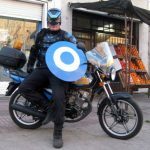 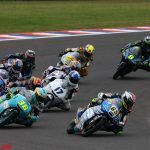 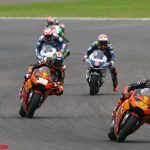 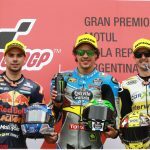 In a crash-filled Argentine MotoGP race, only four factory bikes completed the race: the two Yamahas at the front and the two KTMs at the back. 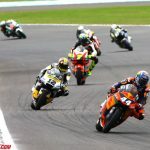 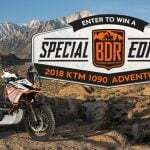 Nonetheless, KTM still earned its first premier-class points. 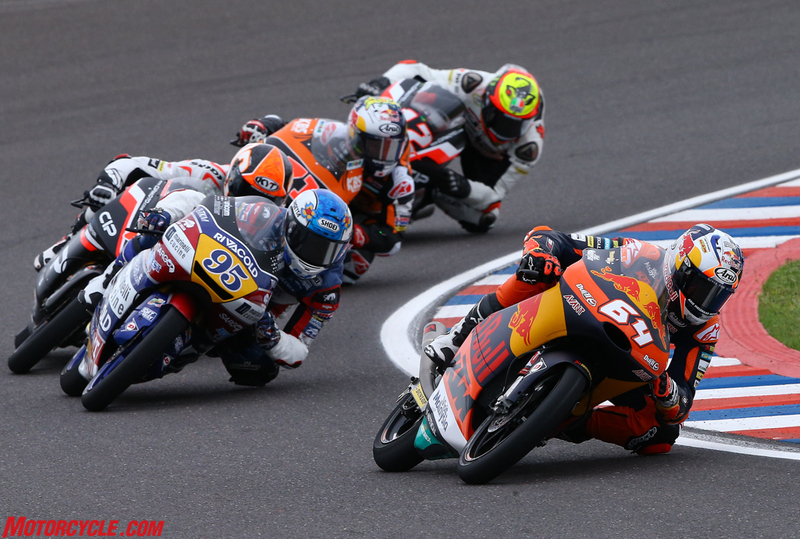 The Austrian marque also earned its first podium finish in the Moto2 class. 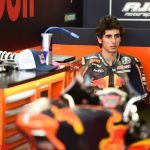 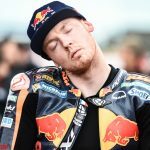 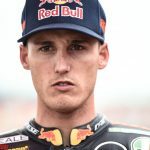 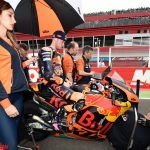 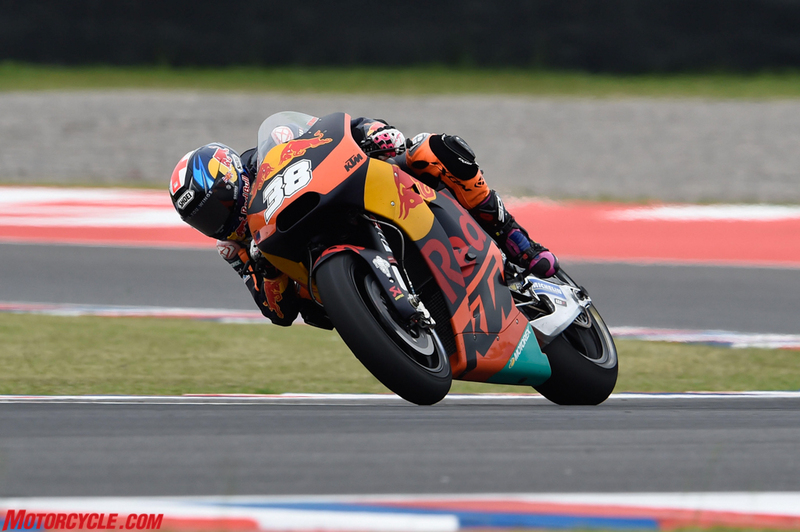 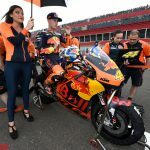 Red Bull KTM MotoGP Factory Racing Team on Sunday celebrated earning their first-ever premier-class points at the Termas de Rio Hondo circuit in Argentina in only their second appearance of their debut season. 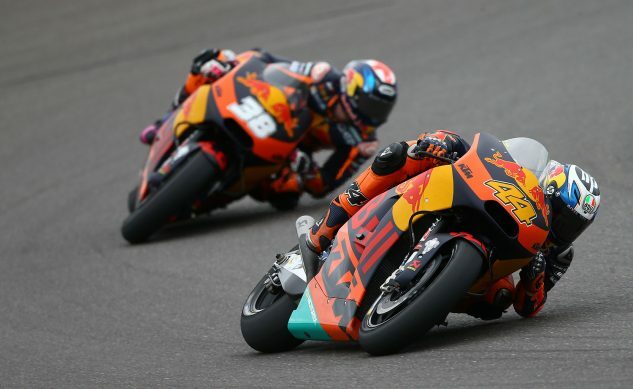 Pol Espargaro (ESP) finished in 14th place on the KTM RC16 and teammate Bradley Smith (GBR) 15th both of which was an improvement on the opening round in Qatar. 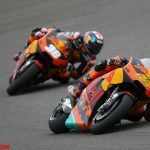 Red Bull KTM Ajo, which are also debuting in Moto2 this season also celebrated a first ever podium in the class when Portuguese rider Miguel Oliveira took a thrilling second place. 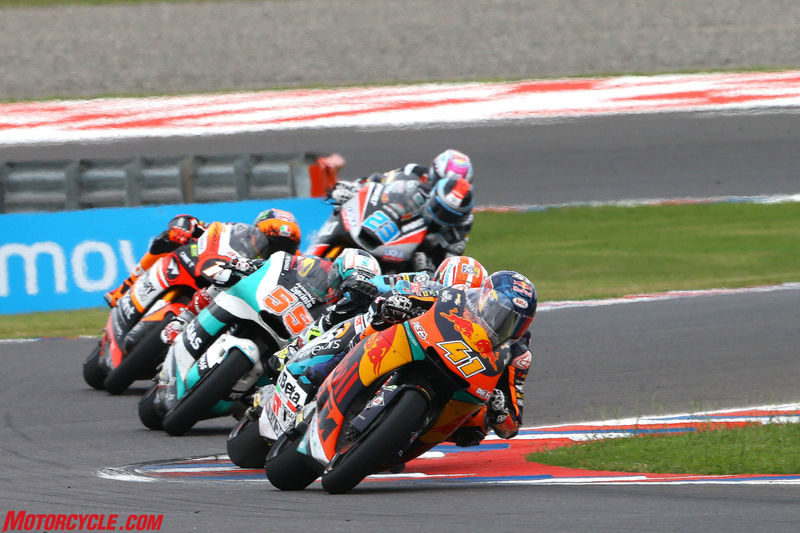 Philipp Oettl (GER) was the fastest KTM rider in Moto3, finishing in fourth place. 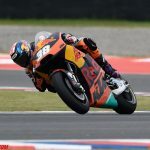 The new KTM factory team was able to take a number of positives away from the weekend in Argentina. 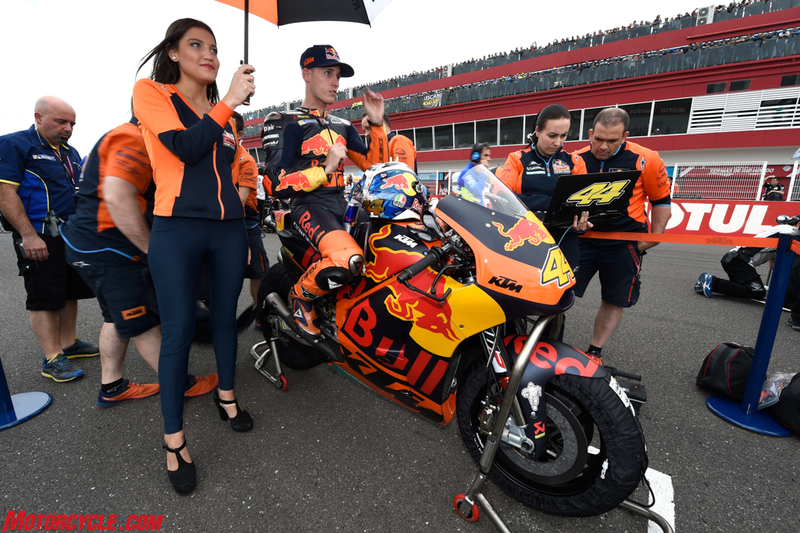 Pol Espargaro and Bradley Smith started at 18th and 19th on the grid and they both completed the 25-lap race safely. 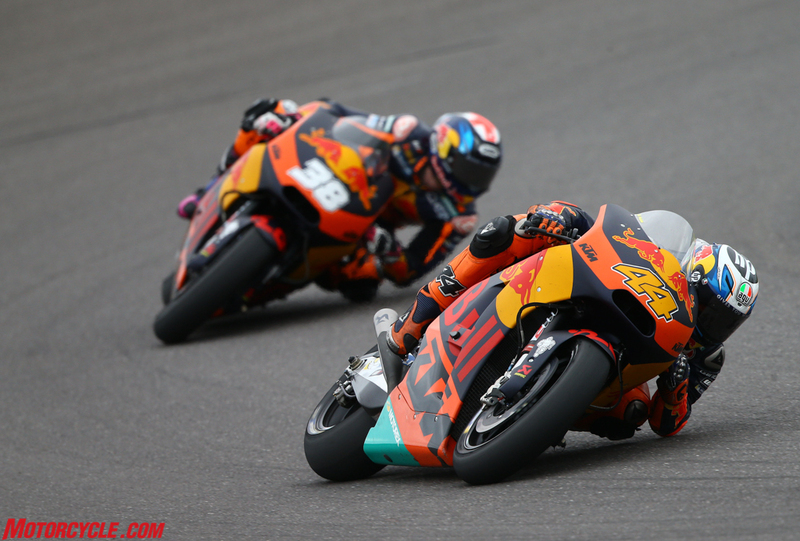 They also improved on their results in the opening round in Qatar on a circuit that was new for the team and the KTM RC16 MotoGP bike. 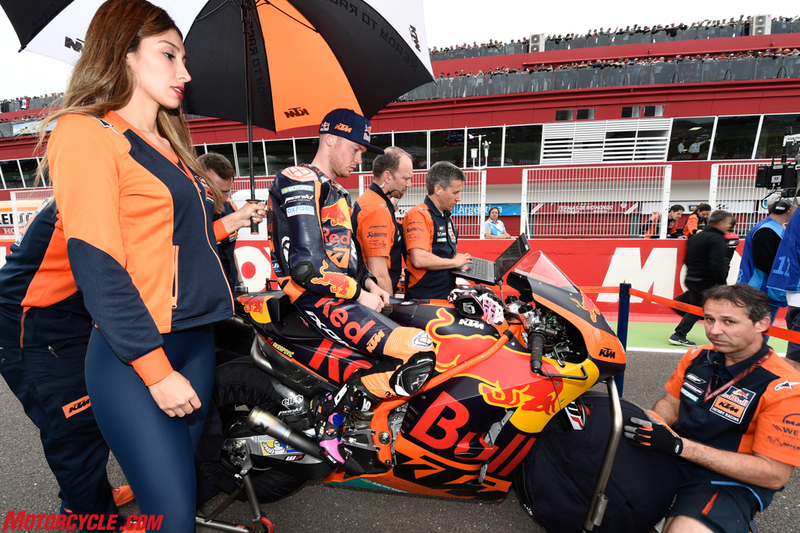 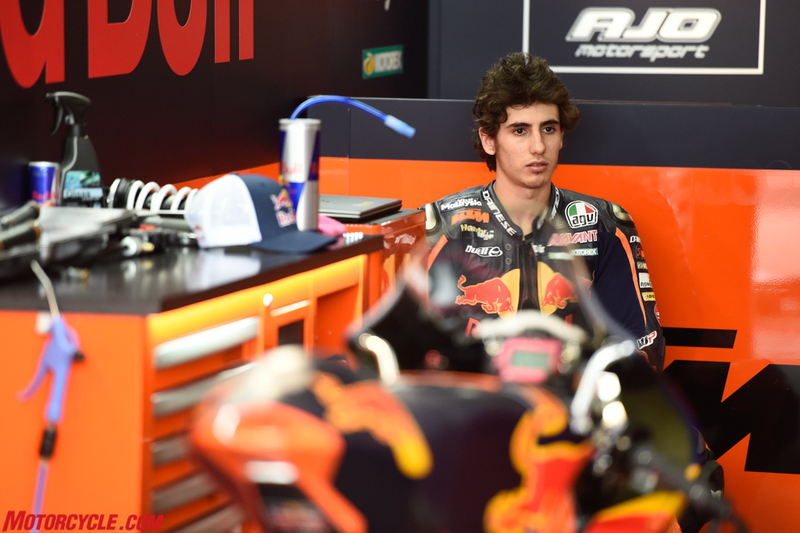 Both the factory riders and the team manager agreed that while there is still a long way to go in the long development journey, steps had been taken in the right direction. 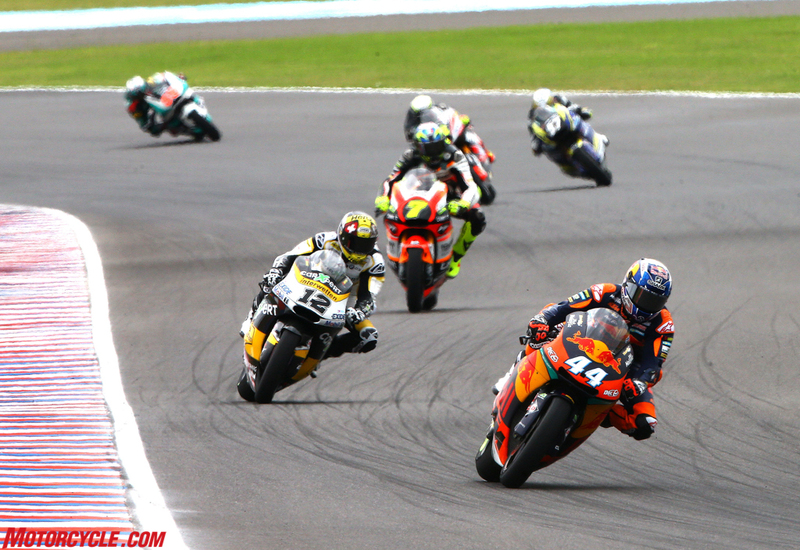 The result in Moto2 was reason to celebrate for Red Bull KTM Ajo coming in only their second race in the class. 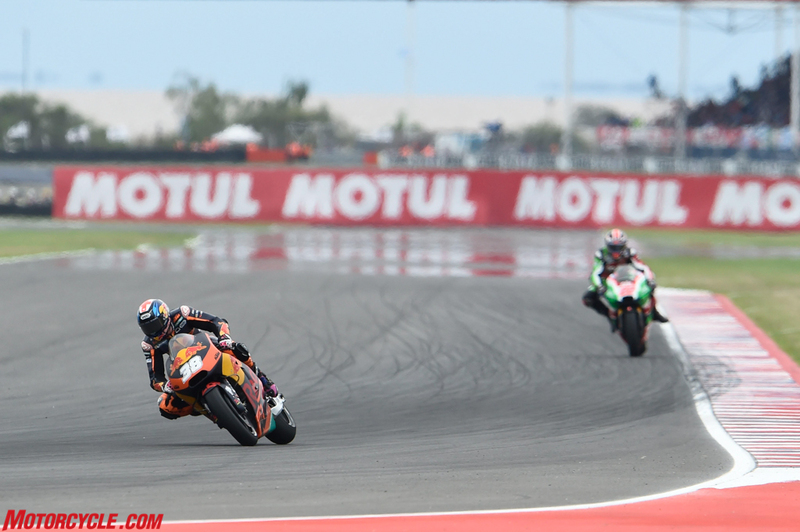 Miguel Oliveira set the tone of the weekend in qualifying to start on pole and he got away well at the start. 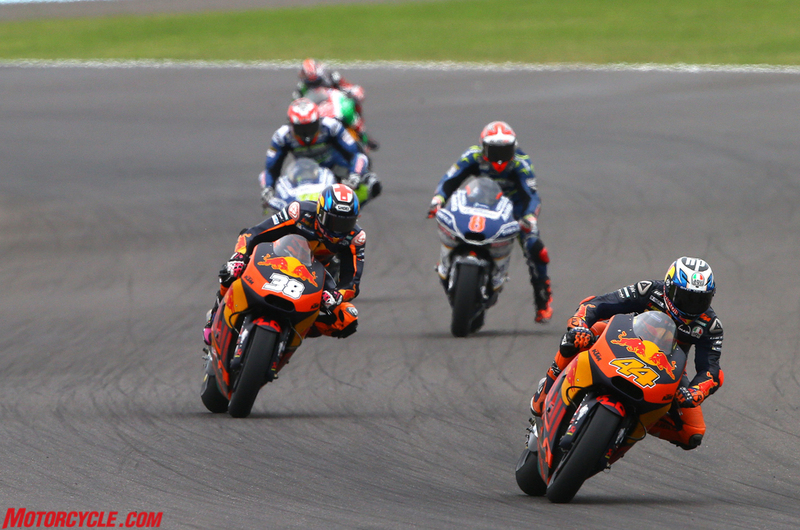 While he was nudged out of the lead at first corner he quickly settled into third place as the front three riders progressively distanced themselves from the rest of the pack. 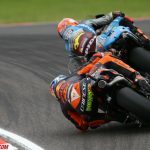 Then, in the final lap when eventual winner Franco Morbidelli (ITA) and Alex Marquez (ESP) were locked in last-minute combat, Marquez crashed out and handed Oliveira the second place. 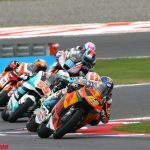 Red Bull KTM Ajo teammate Brad Binder started at 24th on the grid and had a confidence-building race to finish ninth. 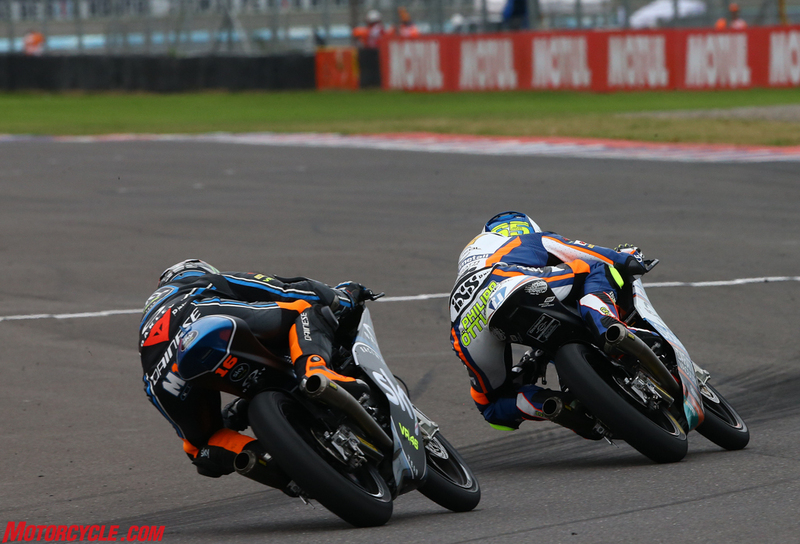 The result earned the South African rider his first championship points in the intermediate class. 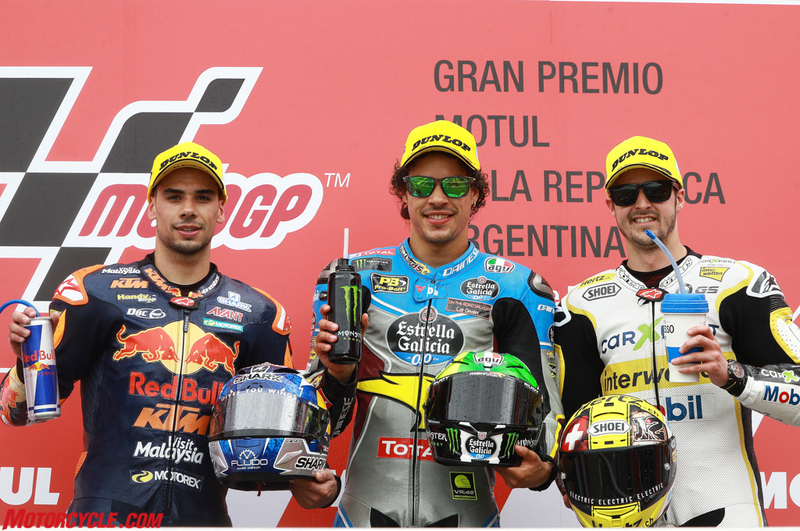 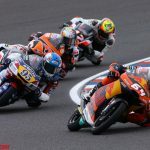 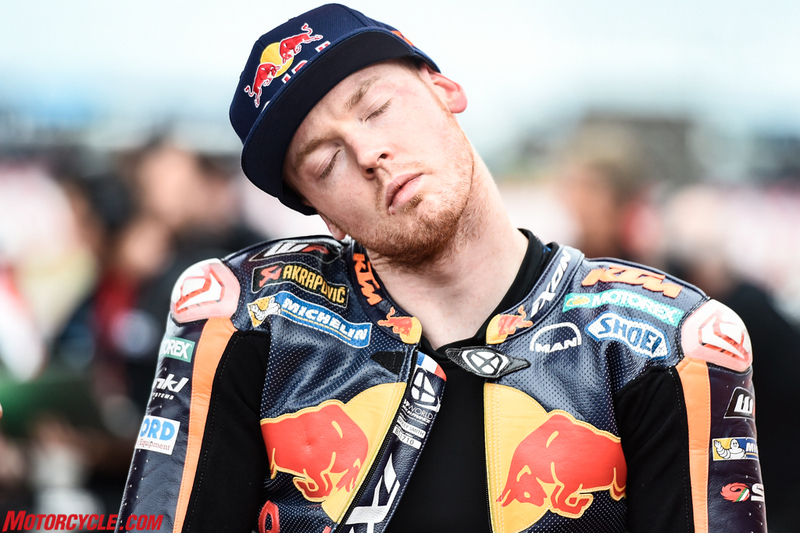 Top KTM rider in the Moto3 at Argentina’s Termas di Rio Hondo circuit was German rider Philipp Oettl who finished fourth but was squarely in podium contention up until the final lap. 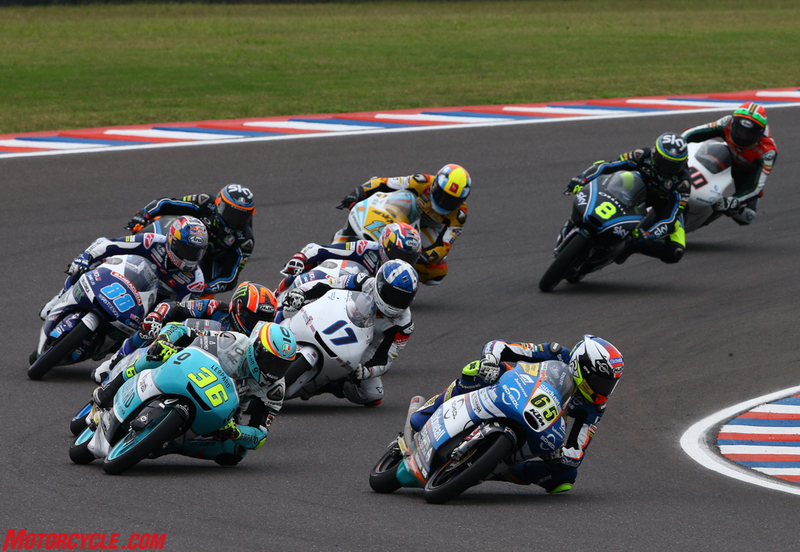 Close behind him in fifth place was Andrea Migno (ITA), while Spanish rider Juanfran Guevara was ninth. 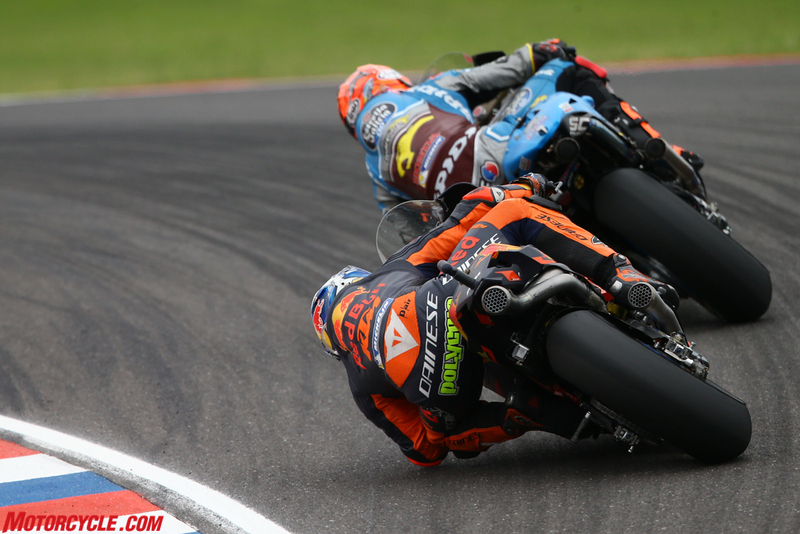 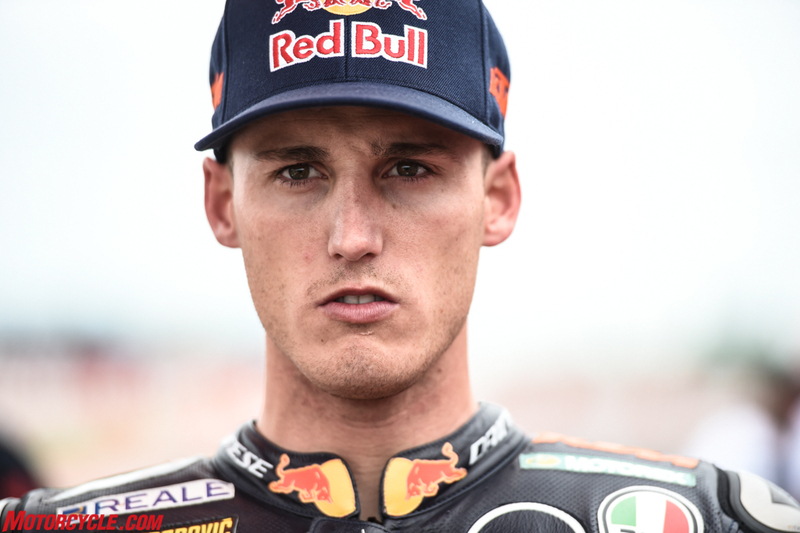 It was a very difficult day for the Red Bull KTM Ajo duo Niccolo Antonelli (ITA) and Bo Bendsneyder (NED). 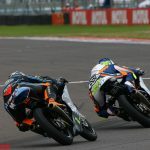 Antonelli crashed out in the second lap of the 21-lap race as the innocent victim of a race incident with another rider. 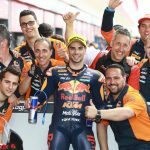 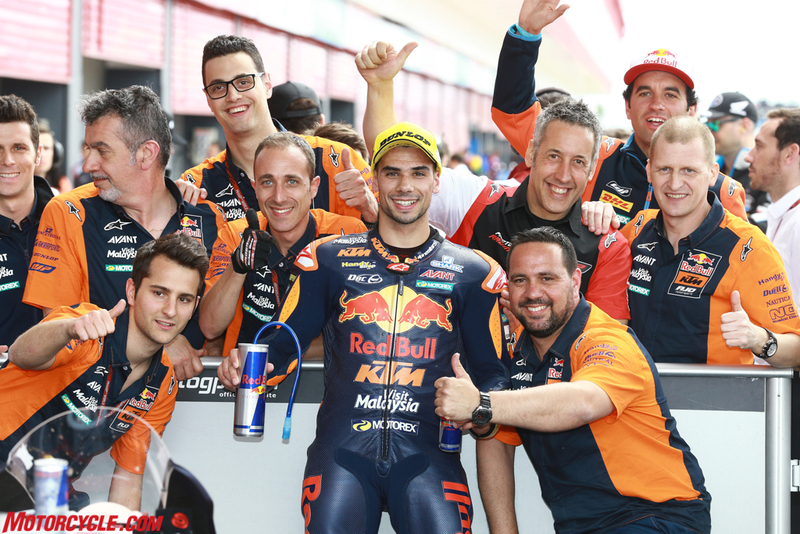 Bendsneyder rode out the race between places 21-23.